Tooloom Falls is a site of special cultural significance to the local Githabul People who know this place as Dooloomi. They graciously invited me to stay here as long as I wanted. I have been photographing wildlife and living off-grid and offline in this beautiful location for the last two weeks. The river which feeds the waterfall is as still as a mill pond. Only the roar of the falls reminds you all the water is inching towards the edge. 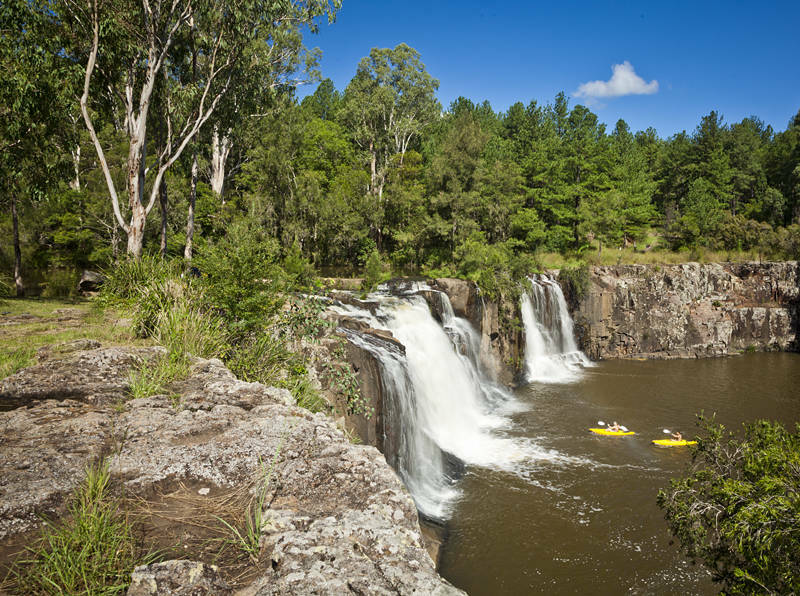 The far side of the river is state pine forest, on the aboriginal side, there is a variety of vegetation spilling over the banks. Lizards, Birds and Turtles visibly inhabit the area but platypus remains elusive. A Githabul elder told me when platypus moves you can hear a double splash. This is useful to know as water dragons and turtles frequently plunk into the water at any perceived danger and kingfishers take random stabs at the river too. These azure kingfishers are a good sign as they follow platypus to feed off prey which is disturbed during their rummaging. A wild platypus photograph may still be possible. This morning I had a lovely drive from the New England region of New South Wales to the Darling Downs region of Queensland. Both are aptly named as the green rolling hills are reminiscent of the UK. Only the occasional white bark of gum trees reminds you it is Australia. I am resupplying in Warick for three days in preparation for two more weeks in another patch of Gondwana forest at the Main Range National Park.